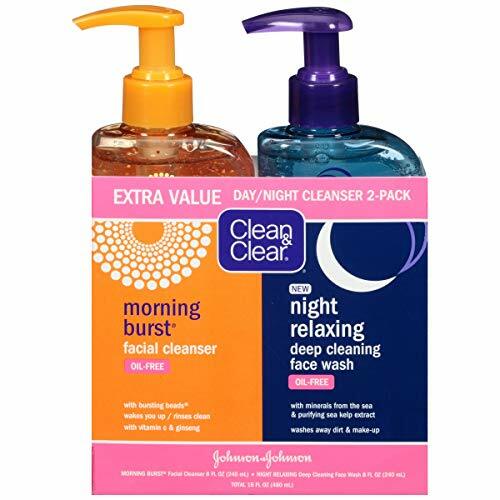 Clean & Clear Day/Night Cleanser 2-Pack provides the ideal cleansers for both day and night use. The Clean & Clear Morning Burst Facial Cleanser is uniquely formulated with Bursting Beads that burst with energy and vitamins, while the invigorating citrus fragrance with ginger extract to help wake you up. Made with ginseng, vitamin C and cucumber extract, this morning face wash helps nourish skin while removing skin impurities that build up overnight. The Clean & Clear Night Relaxing Deep Cleaning Face Wash is made with deep sea minerals and sea kelp extract to effectively wash away impurities that build-up on skin throughout the day. This relaxing face wash cleanses skin to remove dirt and oil you can't see deep in pores, while the calming aromas help wind you down, leaving you clean and relaxed. Together, these non-comedogenic facial cleansers provide oil-free and hypoallergenic cleansing that is gentle enough for daily use, leaving you with clean, beautiful skin. Exfoliation is key for healthy, smooth skin. We recommend a salicylic acid cleanser as a gentle way to exfoliate. In addition to effectively cleansing the skin to remove oil, dirt and makeup, this multi-tasking product also helps sweep away dead cells, improves dryness and softens rough skin. A salicylic acid cleanser enhanced with barrier-strengthening ingredients like ceramides such as CeraVe Renewing SA Cleanser can yield even better benefits by helping keep moisture in the skin while keeping irritants out. Help get clearer skin with Neutrogena Rapid Clear Stubborn Acne Facial Cleanser. This daily face wash is clinically proven to rapidly reduce the size and redness of stubborn acne in just one day. 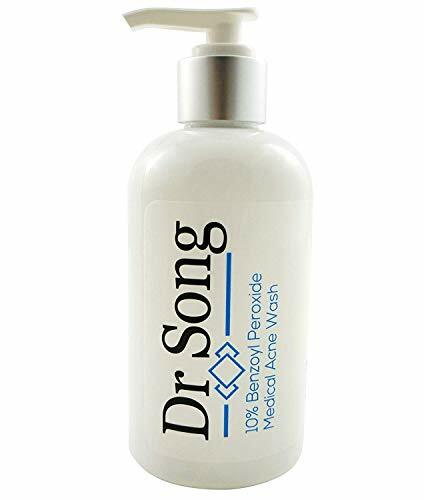 The maximum strength formula contains 10% benzoyl peroxide, the acne medicine dermatologists recommend most for clearer skin without a prescription. 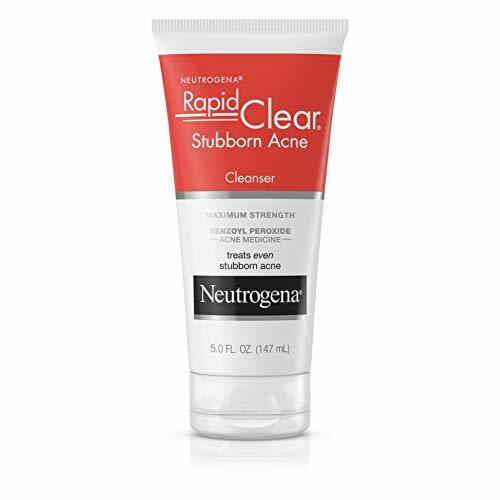 With continued use, Neutrogena Rapid Clear Stubborn Acne Facial Cleanser works to reveal clearer, healthier looking skin. FACE WASH FOR MEN: Clear your pores of excess oil, impurities, and grime with this facial cleanser formulated especially for men. Captures dirt, unclogs pores, and leaves skin looking and feeling refreshed with a healthy look. CHARCOAL CLEANSER: Infused with Charcoal, this cleanser formula acts as a magnet on skin to capture and get rid of dirt (impurities, excess sebum). PERFECT TO PAIR WITH: Try with Men Expert Vita Lift Daily Face Moisturizer with Pro-Retinol to fight the 5 signs of aging - wrinkles, loss of firmness, sagging, roughness and dryness. Face wash for sensitive skin formulated with Prebiotic Thermal Water, Ceramide-3, Niacinamide, and Glycerin. Milky face cleanser that hydrates skin. Use as a daily facial cleanser , morning and /or evening. Soap free Sulfate free Oil free Fragrance free Non comedogenic Allergy tested Paraben free Dermatologist Tested Tested on Sensitive Skin Ingredients: AQUA / WATER / EAU (LA ROCHE-POSAY PREBIOTIC THERMAL WATER) ; GLYCERIN; PENTAERYTHRITYL TETRAETHYLHEXANOATE; PROPYLENE GLYCOL; AMMONIUM POLYACRYLOYLDIMETHYL TAURATE; POLYSORBATE 60; CERAMIDE NP; NIACINAMIDE; SODIUM CHLORIDE; COCO-BETAINE; DISODIUM EDTA; CAPRYLYL GLYCOL; PANTHENOL; T-BUTYL ALCOHOL; TOCOPHEROL. Dr Song offers a 100 DAY NO HASSLE 100% MONEY-BACK GUARANTEE - you don't even need to return the item! This acne product works well as a back acne treatment, face acne treatment, body acne, acne spot treatment, cystic acne treatment, adult acne treatment and acne treatment for teens. This Aveeno Ultra-Calming Foaming Cleanser gently cleanses and calms dry, sensitive skin. Sensitive skin can become unbalanced, leading to irritation and redness. Our exclusive facial cleansing formula with Calming Feverfew, an ingredient related to Chamomile, helps visibly reduce the look of redness and calm irritated, sensitive skin. This gentle foaming facial cleanser works as a face wash and makeup remover to lift away dirt, oil, and makeup without over-drying the skin. A foaming cleanser that is fragrance-free, soap-free, hypoallergenic & non-comedogenic, gentle enough for everyday use.Use the complete Aveeno Ultra-Calming collection or explore other Aveeno collections for a skin solution that reveals your natural beauty. Aveeno has been dermatologist recommended for over 65 years. Facial cleanser feels amazing and is healthy to use! Keeping your face properly cleansed is crucial for maintaining vibrant skin. Doing so will help keep acne at bay, which is a common problem many people face. Finding the perfect facial cleanser isn't always easy, especially one without chemicals and dangerous toxins. Who Should Use It? 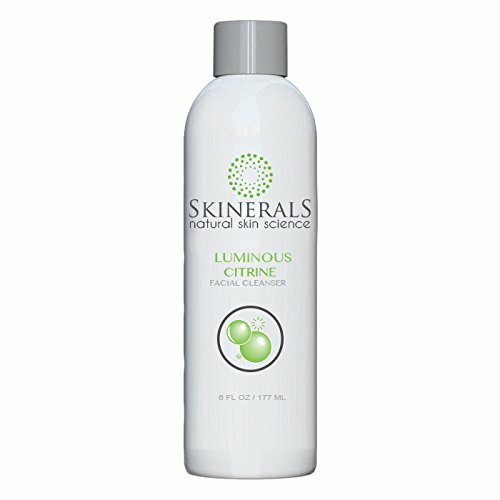 Skineral's Organic Facial Cleanser is designed for all skin types and ideal for daily use to maintain healthy, vibrant skin. We use premium natural plant-based oils, essential oil blends, fruit and plant extracts. 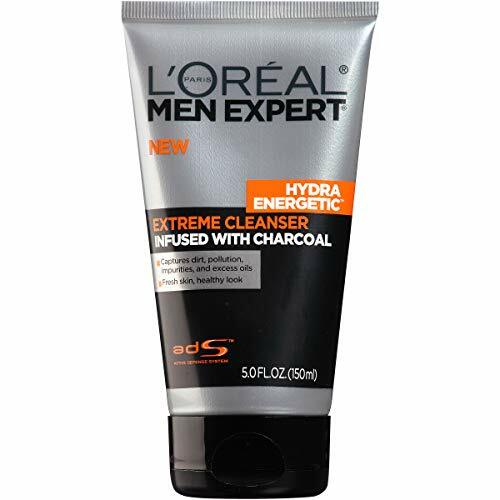 Benefits include: Activated charcoal neutralize acidity and gently exfoliates the skin. Revitalizes & removes impurities with a succulent blend of organic extracts and powerful bacteria-fighting agents. Feeds the skin with organic botanicals of orange peel oil, coconut oil, aloe vera, vitamin C, B5, and E.
Why Use the Skinerals Cleanser? Ingredients in Luminous Citrine Facial Cleanser include water, orange peel oil, rooibus leaf, olive oil, coconut oil, aloe vera, activated charcoal, white tea extract and tamanu seed oil. What's great about our cleanser is that it's much more than a soap - it provides nutrients to your skin. When you use our product, you will nourish your face with vitamin C, B5 and E.
Cruelty-free, Gluten-Free, Vegan, Paraben-Free. Great for sensitive skin. 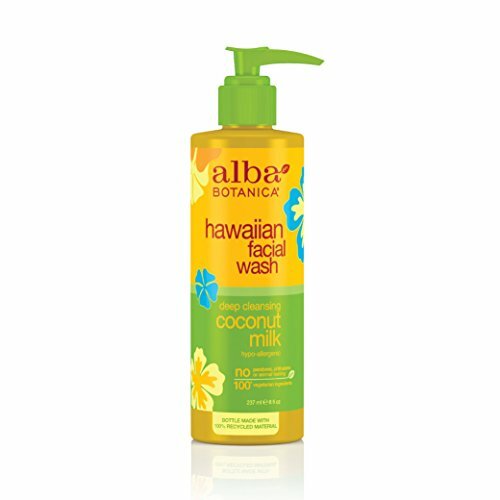 Best Face Wash to Scrub Dirt and Oils from your skin. This is the best facial cleanser that is not only safe but very effective. Made in USA. Every bottle comes with Authentic Serial Number for customer security. Cure Natural Aqua Gel is the #1 exfoliator in Japan, selling 1 bottle every 12 seconds. Cure's status as a cult hit and Japanese beauty product legend stems from the simple fact that Cure does what it promises: exfoliates gently and effectively, without any harsh chemicals. There is no need to rub or scrub your skin too hard. Its unique and gentle formula is suitable to all skin types, even the most sensitive. You will be surprised that your skin is so much smoother! Made in Japan, Natural Aqua Gel Cure is a very simple product as approximately 91% of it, is water. General chemical peelings usually use strong acids (approx. pH1.3) to dissolve protein. Natural Aqua Gel Cure, on the other hand, gently catches waste dead skin on the surface of the skin and removes it with a unique activated hydrogen water formula. This gentle exfoliant gel is also scent-free, color-free, and preservative-free. HOW TO USE : Wash face thoroughly with soap and water. Dry face well. Pomp the bottle 3 to 5 times until you have an appropriate amount of gel on your finger. Apply the gel to the skin on your face, neck, or other areas that are dry and rough. Gently massage when the gel becomes white (do not rub skin too hard). Rinse well after you see results. Use lotion or skin cream that you normally use. For best results, apply twice a week. Brand: THEFACESHOP | Manufacturer: MarginMart, Inc. 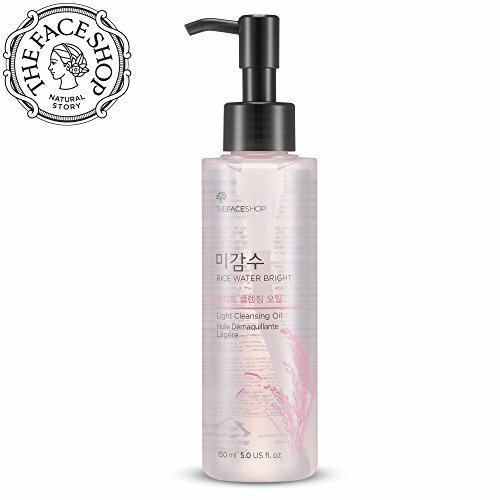 This Korean essential skincare deep cleanser gently removes dirt, excess oil and dead skin cells to reveal a clean, fresh face. The non-irritating formula maintains a healthy moisture balance, never stripping the skin, while eliminating shiny, oily areas. A moisturizing and brightening cleansing line using quality rice water, moringa oil and soapwort. Rice water: rice is rich in vitamins, amino acid, hydrochloric acid and other nutrients. These substances will remain in the water when the rice is washed. 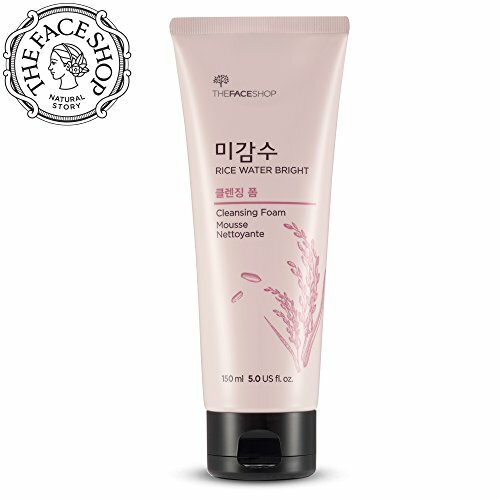 As a result, rice water enjoys a reputation as a natural skin care product, with its superior effects of moisturizing and brightening the skin. RICE WATER BRIGHT LIGHT CLEANSING OIL: Formulated without mineral oil, this light-weight cleansing oil dissolves any impurities on the skin's surface while hydrating the epidermis with jojoba oil. RICE WATER BIRGHT FOAMING CLEANSER: Enriched with natural brightening rice water, this gentle cleansing foam can improve the appearance of skin pigmentation. AMAZON EXCLUSIVE FROM THE FACE SHOP - Receive a 100 ml bottle of cleansing foam along with our best selling Rice Water Bright Cleansing Foam and Light Cleansing Oil Set Package, making this a perfect gift for women or a significant other. BRIGHTEN AND CLEAR SKIN WITH RICE WATER - A known natural cleanser, rice water helps reduce blemishes from acne scarring by minimizing pores and removing blackheads for smooth and bright skin. STRENGTHEN AND HYDRATE YOUR SKIN: The rice water face wash set both moisturizes the skin by a light foam cleanser when lathered with water, and strengthen your skin with a rich, pearl white cream which leaves your face feeling refreshed with a sweet fragrance. 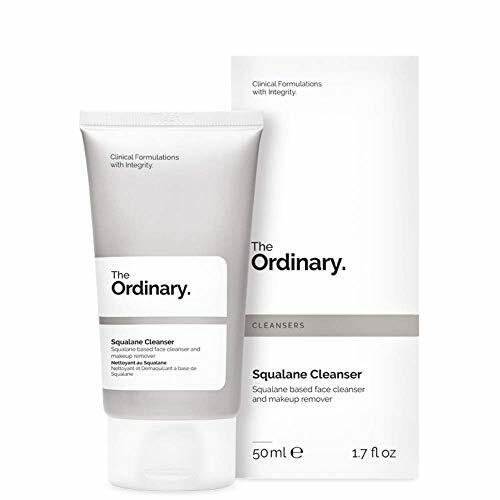 PERFECT DAILY CLEANSER FOR ALL SKIN TYPES: This cleanser uses ceramide and vitamins A, B, and E to smooth out skin tones, moisturize fair and sensitive skin, and protect your skin's natural barriers. KOREA'S MOST POPULAR SKIN CARE BRAND: THEFACESHOP established themselves as one the premier skin care lines for 15 years. A perfect gift for women, keep their and your skin healthy and beautiful. Leading dermatologists and Olay skin scientists have partnered to establish the Olay Professional Alliance. Through this partnership, Pro-X was created to bring you prescribed regimens to treat your specific skin care concerns. Warranty: We promise your satisfaction with this product or we'll refund your money. Call 1-866-710-PROX (7769) with original receipt within 60 days of purchase. Limit one refund per household. Are you suffering from irritated eyes and eyelids? Have you tried everything just to find a little relief? We know how you feel. That's why we created the Heyedrate Lid and Lash Cleanser...so you can stop worrying about your eyes, and start living the life you love. Soothes skin all over the body. 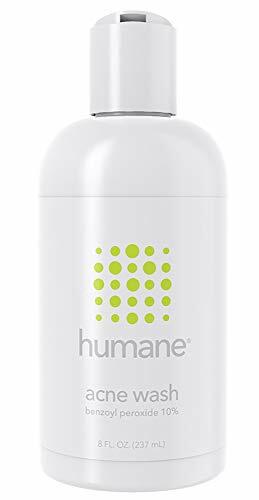 This innovative spray is perfect for deep cleaning around your eyes, and is a great solution for other skin irritation you have elsewhere. Organic, vegan, all-natural relief. Alcohol free, fragrance free, no parabens, no sulfates, and preservative free. This hypoallergenic diluted Hypochlorous Acid formula is gentle on your delicate skin. Proprietary, pure Hypochlorous Acid (HOCl) A completely natural complement to your body's healing capacity. Originally used as a wound care product and safe for daily use. SATISFACTION GUARANTEE Love it or let us know and we'll take care of you. It's that simple. About Us: We are a company based in South Carolina owned by two eye doctors. With every product sold, we give glasses, sunglasses, and an eye exam to someone who can neither afford nor obtain quality eye care. Join the mission! GOOD FOR ALL AGES. Best if used twice a day as maintenance. NOTE: This product is not intended to substitute for advice given by a physician, pharmacist, or other licensed health-care professional. You should not use this information as self-diagnosis or for treating a health problem or disease. 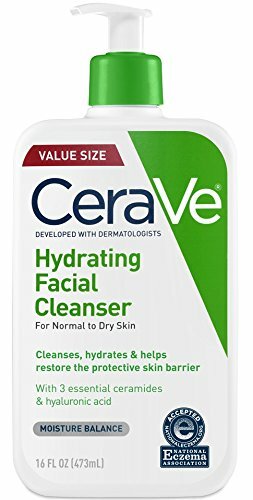 Clogged pores, blackheads, blemishes and excess oil? 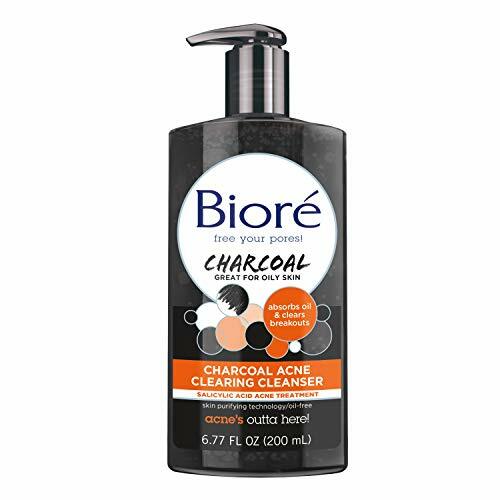 Biore Charcoal Acne Clearing Cleanser for Oily Skin deep cleans, penetrates pores and absorbs excess oil without irritating or stripping skin s moisture. Charcoal, known for its oil-absorbing properties, works with acne-fighting salicylic acid and skin purifying technology in this cleanser to treat existing acne and prevent future breakouts by cleaning deep down in your pores without over-drying. The result is clearer, softer, smoother skin in just 2 days. Pump a small amount of product into hands and massage over wet skin, avoiding eye area. Rinse thoroughly and pat dry. For optimal results, use daily. VITAMIN & ANTIOXIDANTS - Cleanse, heal, hydrate, and repair damaged skin, scars, and blemishes with the vital nutrients from apple cider vinegar, aloe vera, and vitamins B5 & E. Use a foaming facial cleanser that helps your skin retain moisture easily. 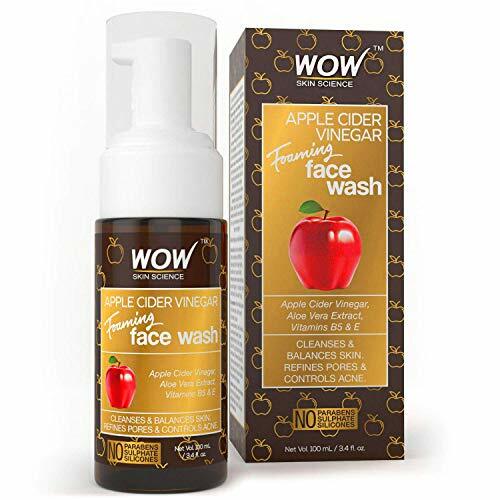 ACNE DEFENSE TREATMENT - Our natural WOW Apple Cider Vinegar Face Wash is able to reduce and control acne breakouts without overdrying your skin. Control acne using only natural ingredients to ensure a safe prevention treatment for men, women, and teens. ANTI AGING BENEFITS - Take full advantage of aloe vera's intense hydration to help reduce lines & wrinkles. Use as an efficient makeup remover without leaving your skin dry and cracked, but rather feeling moisturized and refreshed. No residue left behind. 100% MONEY BACK GUARANTEE - Our gentle & soft face wash comes with a risk-free, money-back guarantee refund policy to ensure complete satisfaction. For normal or sensitive skin, use our hydrating facial cleanser for a fresh, clean feeling every morning. NATURAL INGREDIENTS - Free from harmful chemicals such as: sulphates, alcohol, etc. - all that severely dry out your skin, leaving you with skin that feels irritated and tight. Get more moisture without a heavy lather to make your bottle last longer! 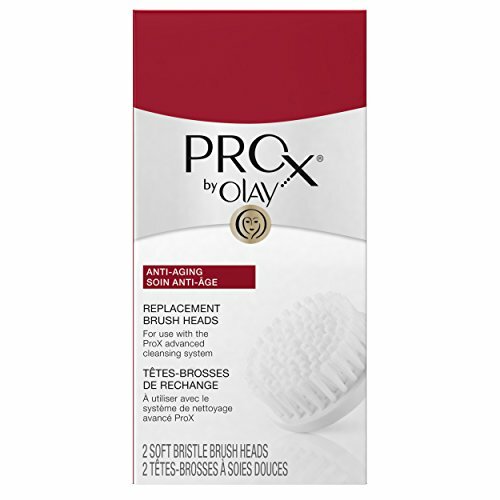 Clogged pores, blackheads, blemishes and excess oil? 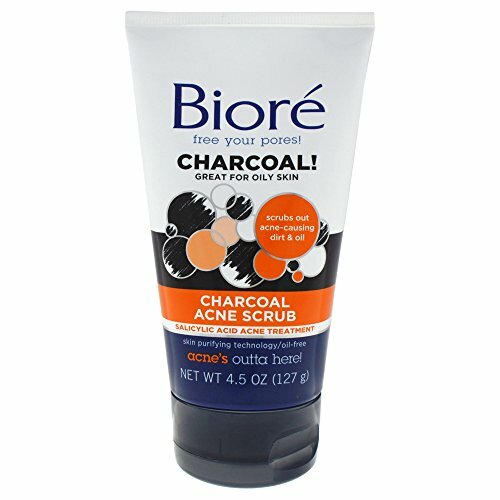 Biore Charcoal Acne Scrub for Oily Skin deep cleans, exfoliates and absorbs excess oil without irritating or stripping it of moisture. Charcoal, known for its oil-absorbing properties, works with acne-fighting salicylic acid and skin purifying technology in this scrub to treat existing acne and prevent future breakouts by cleaning deep down in your pores without over-drying. At the same time, exfoliating beads and powerful micro crystals are sweeping away dead skin cells and debris from your skin s surface without irritating it. The result is clearer, softer, smoother skin in just 2 days. Squeeze a small amount of product into hands and massage over wet skin in circular motions, avoiding eye area. Rinse thoroughly and pat dry. For optimal results, use up to 2-3 times per week or up to 2 times daily, as needed. Biore Skincare targets the root of all skin problems - the evil clogged pore. So when it comes to dirt and oil we take a no nonsense approach to fight smarter, not harder. Our scrub, liquid, powder, strip, mask and bar cleansing products go straight to the source of those pesky pores for deeply clean, beautiful skin. Desert Essence Thoroughly Clean Face Wash is an all-natural skincare solution, especially for those with super oil or combo skin. Made with all-natural formulations and organic ingredients, this natural skincare product works gently on your skin leaving it with a soft, clean and silky-smooth feel. It contains Eco-Harvest tea tree oil that is known to effectively treat minor skin irritations, soothe skin and reduce skin redness with its antiseptic properties. The Hawaii's fragrant awapuhi plant extract gives this cleaner additional softening properties. This facial cleansing solution is also rich in soothing extract of goldenseal and essential oil of chamomile. With regular use, this tea tree face wash also helps improve skins texture and radiance giving it a youthful glow. Contains natural Organic Tea Tree Oil, a natural antiseptic that cleanses without making skin feel tight or dry. Includes soothing extracts of Goldenseal, Hawaiian White Ginger (Awapuhi), and essential oil of Chamomile. With mineral-rich Bladderwrack, harvested from the sea. Helps improve the texture, clarity, and radiance of your skin. 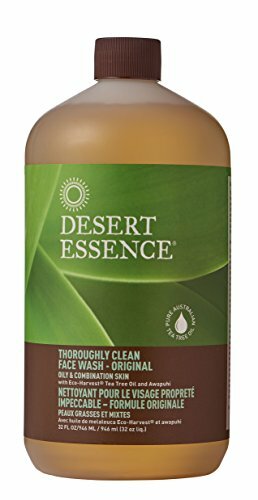 Desert Essence Thoroughly Clean Face Wash is a gentle skin cleansing solution made with Eco-Harvest tea tree oil and sea kelp. This cleansing formula is a unique blend of nutrient-rich plants harvested from both land and sea. Ideal for normal skin, it also features echinacea and licorice root extracts that work with green and white tea extracts to soothe the skin while providing anti-oxidant protection. The topical application of green and white tea extracts provides protection from solar-simulated ultraviolet light in human skin. This organic face wash gently yet effectively cleanses your skin while the presence of mineral-rich sea kelp provides rich nourishment to the skin for naturally vibrant and healthy-looking skin. It also aids in removing makeup, dirt and other impurities while being gentle on the skin. pH balanced and free of Oils, Silicone, Glycerin, synthetic fragrances, SLS, Parabens, and Petrolatum. Cleanses and removes debris, make up, dead skin and oils from lashes. Also perfect as a facial cleanser. Have a good morning with COSRX Low pH Good Morning Gel Cleanser! 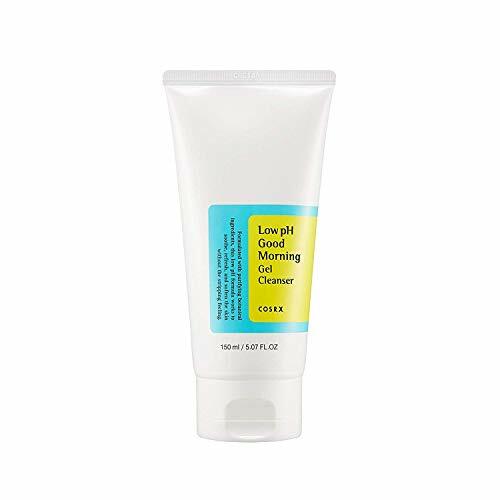 As you can tell by its name, COSRX Low pH Good Morning Gel Cleanser is a gentle gel type cleanser with mildly acidic pH level. Being gentle on the skin, this mild cleanser is highly effective in cleansing excess sebum on the skin without irritating or drying out your skin. BHA (Betaine Salicylate) helps mildly wash away all the impurities on your skin, and tea tree oil ingredient helps soothe irritated skin. COSRX Low pH Good Morning Gel Cleanser can be used both in the morning and at night for double cleansing after removing your make up with a first cleanser. COSRX Low pH Good Morning Gel Cleanser has a pH level of 5.0 - 6.0 contains tea-tree oil and natural BHA that shrinks the sizes of pores and and refines the skin's texture. Safe to use on dry and sensitive skin types, this mild cleanser will make any morning skincare routine refreshing and hydrating. It's also formulated to remove makeup and other oil-based residue with a skin-happy pH of 5! Formulated with botanical skin-purifying ingredients, mildly acidic cleanser works softly to make skin supple and clear. Gently massage on wet skin with Good Morning Mildly Acidic Cleanser. Rinse thoroughly with tepid water. Start your morning fresh everyday! A gentle cleansing product formulated to target makeup removal whilst leaving the skin feeling smooth and moisturized. The formula incorporates Squalane, alongside other lipophilic esters that are gentle, moisturizing, efficient in dissolving makeup and facial impurities and increasing the spreadability of the product. When rubbed between your palms for approximately 10-30 seconds, the product undergoes an important textural change from a balm-like consistency to a clear oil-like consistency. This allows the emulsifying sucrose esters in the formula to trap and blend the dissolved makeup and facial impurities with water for rinsing. Being non-comedogenic and soap-free, this formula is designed to be gentle enough for daily use, without over-drying the skin, making it suitable for all skin types. How to use: Dispense product into hands. Rub together to warm the product, allowing it to melt into an oil. Massage well onto dry face and rinse with warm water. If irritation occurs, cease use and consult a physician. Use only as directed on unbroken skin. Patch testing prior to use is advised. Refer to our in-depth guide to patch testing. Keep out of reach of children. A gentle, moisturizing facial cleanser. Dissolves makeup & facial impurities. Contains gentle, moisturizing, & efficient Squalane, alongside other lipophilic esters. Non-comedogenic. Soap-free. Non-drying. Suitable for all skin types.